You can't deny that Theresa May is under considerable pressure. 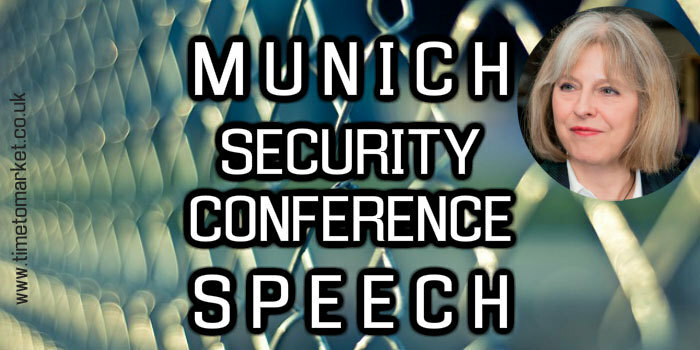 But she managed to appear confident and in control with this MSC 2018 security conference speech in Munich, Germany this morning. Her speech comes only a day or two after that of her colleague, Boris Johnson. And whilst the Foreign Secretary gave a reconciliation speech brimming with vision, the Prime Minister chose security. However, that's probably a wise choice. She was the Home Secretary for five years and, before then was Shadow Home Secretary whilst in the opposition. So it's a subject that she knows as well as any politician. And her speech certainly worked. She's still not the most passionate of speakers, and she probably will never be so. But she's competent enough to give such a keynote speech that's been trailed in the media for several weeks. Reading from a script on the lectern, she started her speech with a date. And that's a fairly typical way to begin such a speech. In fact, it's a real favourite for politicians and business speakers alike. She gave her security conference speech in a firm and steady fashion. Quite the opposite of her unfortunate conference speech nightmare in the autumn. And while her style remains more stoic than variable, she isn't afraid of rhetoric. But she wasn't about to let rhetoric get in the way of her overriding purpose with this speech. Europe’s security is our security. And that is why I have said – and I say again today - that the United Kingdom is unconditionally committed to maintaining it. We also heard a familiar position statement. Also a firm favourite with politicians and business people alike. In terms of structure, she made very clear to her audience what they could expect. Internal security and external security. And, so, within internal security she gave a three-part list. Then with external security she gave another three-part list. Good structure and good structure signals. In her conclusion, she again reached for a date. although it was a different date with special resonance for Munich. And, then, with her final words, she issued her call to arms. So, her speech didn't rise to the occasion like a Winston Churchill speech. But this was a solid and comfortable speech from the Prime Minister. 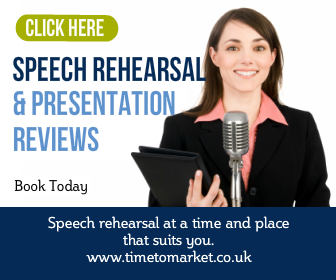 You can read, listen to and watch plenty of top tips with our series of public speaking tips. 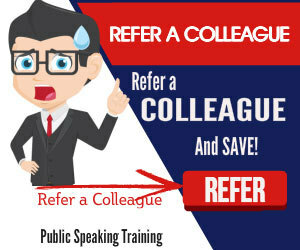 And, when you want to take your own public speaking skills further you can always consider a public speaking course or a public speaking skills coaching session. When the time is right, please don't hesitate to get in touch.